The family of JACK BLACK FOREHEAD “Nio Skii Saap’p” (Three Head Dress) wishes to announce his peaceful passing on Saturday, January 9th, 2016 at the age of 94 years. 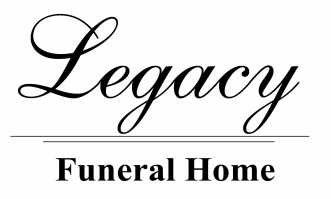 Jack will be sadly missed by his children - Adrian (Elizabeth), Annette (Myron), Edna (Marna), Marilyn, Brenda, Daniel (Bettina), Leonard; grandchildren - Terrence, Kirsten, Colten, Sheldon, Michelle, Dwayne, Cody, T.J., Alana, Wanda, Melissa, Garrett, Candace, Amanda, Jarred, Joshua, Jocelyn, Danielle & Danika, Kim, Lacey, Shilo, Juanita, Brad, Nicole, Mercedes & Marissa, Hailey, Cory, Sarah, Shaneece; 51 great grandchildren and 3 great great grandchildren. Jack was predeceased by his wife, Amy Black Forehead; daughter Cindy Black Forehead; sister Annie Fair; brother Mike Black Forehead; nephews Tom Chief Calf, Jim Two Gun Knife, Frank Brown, Wilford Bird; grandchildren Tanya Black Forehead and Charles Old Shoes; brother-in-law Tom White Man; special friend Isabel Spear Chief. ​A Wake Service will be at the Old Saipoyi Gym, Stand Off on Friday, Jan. 15th from 6:00 to 10:00 p.m., continuing all night at Jack’s residence. The Funeral Mass will be held at St. Mary’s Catholic Church, Blood Reserve on Saturday, Jan. 16th at 11:00 a.m. with Father Pawel Andrasz, Celebrant. Interment in St. Catherine’s Cemetery.